Partly cloudy in the morning followed by scattered thunderstorms in the afternoon. High 64F. Winds SSE at 10 to 20 mph. Chance of rain 50%..
Thunderstorms in the evening, then variable clouds overnight with still a chance of showers. Low 47F. Winds SSW at 10 to 15 mph. Chance of rain 90%. Racine, Jan. 7, at her residence, Sturino Funeral Home, Racine. Racine, Jan. 7, Ascension All Saints Hospital, Maresh-Meredith and Acklam Funeral Home, Racine. Racine, Jan. 7, Ascension All Saints Hospital, Wilson Funeral Home, Racine. Kenosha, Jan. 7, at Froedtert South Kenosha, Draeger-Langendorf Funeral Home and Crematory, Mount Pleasant. Racine, Jan. 6, at her residence, Purath-Strand Funeral Home & Crematory, Racine. Tuscon, Ariz., formerly of Racine, Jan. 6, Southern Arizona V.A. Hospital, Draeger-Langendorf Funeral Home and Crematory, Mount Pleasant. Mount Pleasant, Jan. 7, Zilber Family Hospice, Wauwatosa, Wilson Funeral Home, Racine. Racine, Jan. 8, at her residence, Purath-Strand Funeral Home & Crematory, Racine. Born to Harry A. and Anna Peters on April 24,1938 went home to her Lord, Jesus on December 16, 2018. Agnes was born in Greensburg, Pennsylvania and lived there until graduating from Greensburg High in 1957. She married young, right out of high school and had 4 children with Donald Barr. Over the next 17 years she lived in 3 states, Pennsylvania, Michigan, and finally settled in Racine Wisconsin in 1966. Aggie divorced from her first husband in 1974. Aggie was always a hard-working mother and raised four loving children. She worked the assembly line at Rainfair Corp. and in the Core room and Sand Lab at Racine Steel Casting for twenty years. After retirement from Racine Steel Aggie was part owner of The Children’s Cupboard (a retail child’s clothing store). She made many dear friends and had a family that loved her and were of great moral support. During her time at Racine Steel she met the love of her life Ray Hays. Surrounded by friends and family Aggie and Ray were joined in marriage in 1999 and went on for the next 20 years enjoying life to the fullest. They traveled throughout the United States and made many memories and friends. They enjoyed cruising through the glaciered cliffs and mountainous waterfalls of Alaska, enjoyed live theatre in Branson, and golfing on Hilton Head Island. Her spirit will live on in those who survive her. Above all else Aggie was a devoted wife and a loving Mother, and happiest when surrounded by family. Aggie was a founding member of Harbor Rock Tabernacle, she truly loved her church and church family. She is survived by her husband of twenty years Raymond Hays, Her children: Mark (Stephanie) Barr, Michael (Georgia) Barr, Monica (Robert) Norman, Matthew (Priscilla) Barr. Her Step Children: Kim (Zach) Kostalek, Glen Hays, Tim Hays, Bona (Darrell) Schriener; 15 grandchildren and 27 great grandchildren. She will be dearly missed by all who knew her. A memorial service in Aggie’s honor will be held on Saturday January 12th at Harbor Rock Tabernacle 1015 Four Mile Road in Racine WI. Visitation starts at 10:00 am service at 11:00 and a luncheon to follow the service. In lieu of flowers memorials to Harbor Rock Tabernacle or Hospice Alliance are appreciated. NEW HOPE, MN (Formerly of Racine)—Robert Gorham Nugent, age 92 passed away Sunday, December 30, 2018, at his residence. He was born in Maywood, IL, May 16, 1926, son of the late Lester and Frances (Nee:Schlatter) Nugent. He was a longtime resident of Racine moving to Minnesota to be near family the past few years. Bob moved frequently in his early life and proudly served in the U.S. Navy aboard a sub chaser in the Pacific Theatre of War. He left the Navy as a lieutenant junior grade and went on to earn a BS degree in chemistry and joined SC Johnson Wax. He retired from S.C. Johnson after many years of employment. On April 3, 1971, he was united in marriage to Joan Mueller who preceded him in death May 21, 2003. Bob was a longtime member of St. Patrick’s Catholic Church and was very active with NAMI. He gave of his time and talents with many organizations the last being as a volunteer at North Memorial Hospital in Minneapolis. Bob also loved the outdoors hunting, fishing, and camping. He was a devoted husband, father and grandfather who will be dearly missed. Surviving are his son, James (Jaime) Nugent; daughter, Terry (Gary) Gonter; grandchildren, Adelie and Sawyer Nugent; other relatives and dear friends. In addition to his parents and wife, he was preceded in death by his son Timothy. A Mass of Christian Burial will be celebrated Monday, January 14, 2019, 11:00 A.M. at St. Patrick’s Catholic Church, 1100 Erie Street. Interment with full military honors will follow at Holy Cross Cemetery, Hwy 32. Relatives and friends may meet Monday at the church 10:00 A.M. until time of Mass. Memorials to NAMI have been suggested. RACINE – Donald E. Hoffmann, 84, passed away on Wednesday, January 2, 2019. Funeral services will be held in the First Evangelical Church, 728 Villa Street, on Saturday, January 12, 2019 with Rev. John Roeckle officiating. Interment will follow at West Lawn Memorial Park. Visitation will be in the funeral home Friday evening from 5pm-7pm; and in church on Saturday beginning at 10am. Memorials to First Evangelical Church, or to Grace Hospice have been suggested. Online guestbook at www.draeger-langendorf.com. Special Thanks and love to P.T.s Karen Allen and Josh Rode. Loving care givers Tameka Hicks, Banche Booker, Shawnte Fulce, Clarrisa Shaw, Ranisha Mullins and Terisita Delacruz and to his loving roommate and caretaker Bobby Navarro. Valencia Girlie Days Funeral services will be held on Saturday January 12, 2019 at New Omega Missionary Baptist Church. Visitation at 9:00 AM. Services will begin at 10:00 AM. Services officiated by Rev. Daryn David Crenshaw. Interment at Graceland Cemetery. Repast in New Omega Church’s Fellowship Hall to follow. 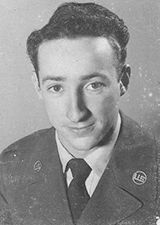 Fred was born in Racine, November 21, 1928, son of the late Frederick L. and Avis (nee: Clark) Wensing Sr. He graduated from Washington Park High School “Class of 1947” and attained a degree in Mechanical Engineering from UW-Madison. On August 10, 1957, Fred was united in marriage to the love of his life, Rosemary T. Mianecki at St. Patrick’s Catholic Church. Fred was employed with Grede Foundries for twenty-eight years before retiring in 1992. Previously he had been employed with J.I. Case Co. and Outboard Marine Corporation. He was a longtime member of St. Richard Catholic Church. Fred was an excellent athlete in his younger years. He excelled at basketball and baseball, having played in the Chicago Cubs’ farm team as well as with friends in the local leagues. He also enjoyed golfing and his camping trips with his family. He will be dearly missed. Left behind to cherish his memory include his loving wife of sixty-one years, Rosemary Wensing; his children, Marcia Wensing (Joe Reeves), Annemarie (John) Meier, Fred (Kelly Jensen) Wensing III, Sarah Wensing (Lori DeHart), Michael (Cheryl McDonald) Wensing; grandchildren, Sydney Meier, Andrew Wensing, Lyndsey Wensing, Devon Wensing, Benjamin Wensing; brothers-in-law and sisters-in-law, Julius (Grace) Mianecki, Patricia (James) Shea; nieces, nephews, other relatives and many dear friends. In addition to his parents, Fred was preceded in death by his son Thomas and his sister, Doris Wensing. Special thanks to cribbage opponent brother-in-law Julius, medical professionals and his caregivers for their compassionate care and support. STEVENS POINT, (Formerly of Racine)—Sandra L. Polkky, age 79, passed away January 2, 2019 at the Marshfield Clinic. She was born in Racine on October 23, 1939 daughter of the late Peter and Caroline Zamagne. Sandra was a graduate of Park High School, “Class of 1958”. On September 8, 1962 Sandra was united in Marriage to Reynold R. Polkky who preceded her November 9, 2011. She was employed by Walker Mfg. as an executive Secretary before becoming a full-time homemaker/mom. Sandra loved to dance with the love of her life and belonged to the square dance club. She enjoyed finding and selling antique treasures. She also enjoyed camping and traveling but especially spending winters in Arizona for the past twenty-five years. Family was first and foremost and she will be dearly missed. Surviving are two sons, Jeff (Judy) Polkky, John (Marnie) Polkky; seven grandchildren: Matthew, Christina, Karis, Arin, Makenzie, Camryn and Conner; sister-in-law, Vi Hilliard; nieces, nephews other relatives and dear friends. In addition to her parents, she also was preceded in death by three sisters (Mary, Rose & Helen) and one brother (Peter). A Memorial Service celebrating Sandra’s life will be held Sunday, January 13, 2019, 2 P.M. at the funeral home. Relatives and friends are welcome to meet with the family for visitation from 12 P.M. until time of service. Memorials to The American Heart Assn. or to The American Cancer Society have been suggested by the family. RACINE- Guadalupe C. Anguiano, 67, passed away peacefully at her residence with her family by her side on January 7, 2019. She was born in Racine on December 5, 1951 the daughter of the late Lorenzo and Guadalupe (nee: Garza) Martinez. She was a graduate of J. I. Case High School. Guadalupe was a former member of Cristo Rey Catholic Church. Guadalupe was united in marriage to Alfonso Anguiano on June 5, 1975. She found great enjoyment in cooking, music, older cowboy shows, and her frequent visits to Walmart and Denny’s Restaurant. Guadalupe is survived by her children, Yolanda Anguiano, Juan A. Anguiano, Maria Isabel (Pedro) Mejia, Maria Dolores (Jeremy) Passehl, grandchildren; Blas, Yuriktzy, Jeremy Jr. Yulisa, Jessica, Jamie, Pedro Jr. Diego, Alejandro, Marissa, Jasmine and Christian, step-children, Miguel, Victor, Ramiro, Fernando, Oscar, Rosalinda and Mariysela, numerous great grandchildren, brothers, Santiago, Jose Antonio Delacruz, sisters; Martha, Juanita, Martina, Irene Delacruz, Maria Trinidad Perez, other relatives and many dear friends. She was preceded in death by her husband, Alfonso on January 3, 2000, sister, Maria Magdalena and an infant daughter, San Juana. Funeral Services will be held at Sturino Funeral Home on Monday January14, 2019 at 11:30 a.m. Visitation will begin at 10 a.m. until service time at 11:30 a.m. She will be laid to rest at Holy Cross Cemetery on Hwy 32. In lieu of flowers, those wishing to remember Guadalupe in a special way may direct memorials to American Heart Association. OAK CREEK—Lisa Marie Guerrero-Terrazas, 43, of Oak Creek, passed away unexpectedly on Tuesday, January 1, 2019 in Johnson Creek, Wisconsin. Funeral services for Lisa will be held on Saturday, January 12, 2019 at Strouf Funeral Home at 11 a.m. The family will receive guests on Saturday, January 12, 2019 at the funeral home from 9 a.m. until time of service. Interment to follow at Holy Cross Cemetery Highway 32. Please see funeral home website www.Strouf.com for full obit. 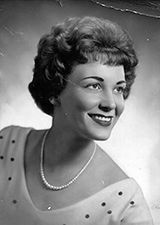 RACINE—Joyce Marilyn Cramer, “Joy,” age 86, passed away Saturday, January 5, 2019, at Ascension Hospital, Franklin. She was born in Racine, January 30, 1932, daughter of the late Roy and Alice (Nee: Wolff) Harris. Joyce attended St. John Nepomuk School and St. Catherine’s High School. On July 21, 2001, she was united in marriage to Robert J. Cramer who preceded her in death in 2008. Joy enjoyed performing with the Cardiac Capers, loved history, reading and art. Above all she considered her greatest delight her children and grandchildren. She truly enjoyed being mom and Nana Joy and will be dearly missed. Surviving are her children, Jeff (Olga) Hermes, Kim (Jim) Morzinski, Lizabeth (Michael) Rosienski, Donna (Kerry) Hermes-Dieter; grandchildren, Jenifer (Peter) Korakian, Erin (Blake) Schabowski, Jayme (Joshua) Cramer, Joseph Hermes, Amanda (Brian) Allen, Jared Rosienski, Joshua (Stacey) Hermes, Shayn Dieter, Jenna Rosienski, Megan Hermes, Tyler Dieter, Allyssa Dieter; great grandchildren, Danica Mohrbacher, Addisyn Cramer, Connor Hermes; in-laws, Joe and Judy Porcaro; the Cramer Family; nieces, nephews, other relatives and dear friends. In addition to her parents and husband she was preceded in death by her sister, Carol Casper and brother, Lee (Geri) Harris. The family wishes to thank the staff at Ascension Hospital in Franklin for their loving and compassionate care. MOUNT PLEASANT – Erik T. Loken, 62, passed away at his residence with his family by side on January 1, 2019. Family and friends are invited to meet at the Lutheran Church of the Resurrection (322 Ohio Street) on Friday, January 11, 2019 for a visitation from 3-5 p.m. A service remembering and celebrating Erik’s life will follow at 5:00 p.m. with Rev. Karen Pahl officiating. In lieu of flowers, memorials have been suggested to either the family to be used for Erik’s children’s college fund or Cholangio Carcinoma Foundation. RACINE—Frank W. Fumo, age 86, passed away Thursday January 3, 2018 at his residence. A Memorial Mass will be held at St. Paul the Apostle Catholic Church, 6400 Spring Street, on Wednesday, January 9, 2019, 11:00 a.m. Relatives and friends may meet with the family at the church Wednesday from 9:30 a.m. until 10:45 a.m. (Roma Lodge Service at 10:45 a.m.) Private interment will be held. Memorials to St. Jude’s Children’s Research Hospital or Shriner’s Hospital for Children have been suggested. UNION GROVE – Carolyn L. Hansen, age 78, passed away peacefully at the Bay at Burlington on January 5, 2019. She was born in Waukegan, IL to parents Roy and Anna (nee. Mungard) Hansen on December 11, 1940. Carolyn was a lifelong resident of Union Grove. She loved cows, car rides, and going to church. Every year, she looked forward to the Racine County Fair so she could see the cows. Visitation will be held at the funeral home on Friday, January 11, 2019 from 11am-12pm. Funeral services will follow. Private burial will be held at the Northshore Garden of Memories in North Chicago, IL. WATERFORD—Joseph R. Graceffa, age 57, passed away on Thursday, January 3, 2019 at his residence following a courageous three year battle with a rare form of Leukemia. He was designated the nickname “Superman” for being such a strong fighter and continuously defying the odds. Relatives and friends are welcome to meet with the family for visitation at the funeral home on Wednesday, January 9, 2019 from 4:00 p.m. until 7:00 p.m. Funeral services will follow at 7:00 p.m. Private interment will be held at West Lawn Memorial Park. RACINE - Joseph Nasticky, “Joe,” age 88, passed away Thursday, January 3, 2019, at Ascension All Saints Hospital. A Mass of Christian Burial will be celebrated Thursday, January 10, 2019, 11:00 a.m. at St. Richard's Catholic Church, 1503 Grand Avenue, with Reverend Allen Bratkowski officiating. Interment with full military honors will follow at Southern Wisconsin Veterans Memorial Cemetery. Relatives and friends may meet at the church prior to the service 10:00 a.m. until 11:00 a.m.